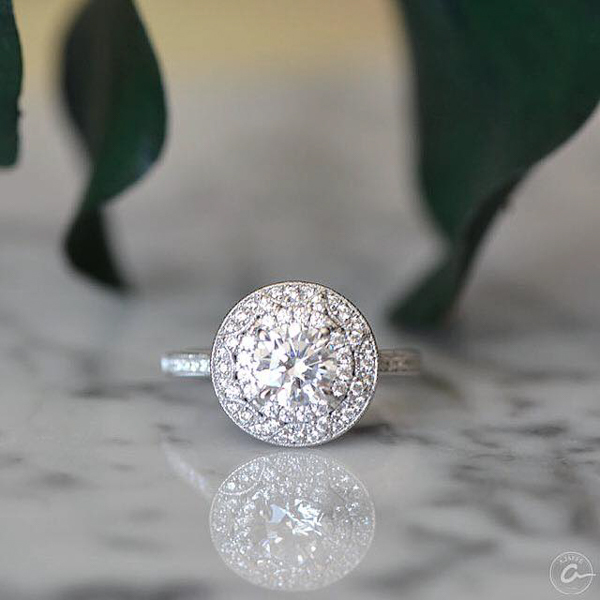 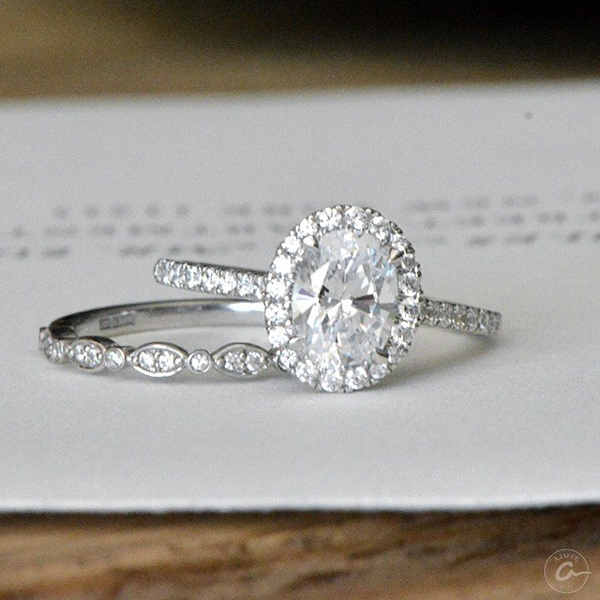 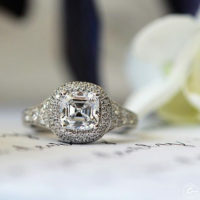 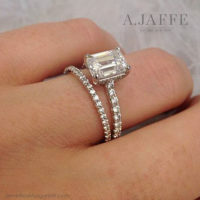 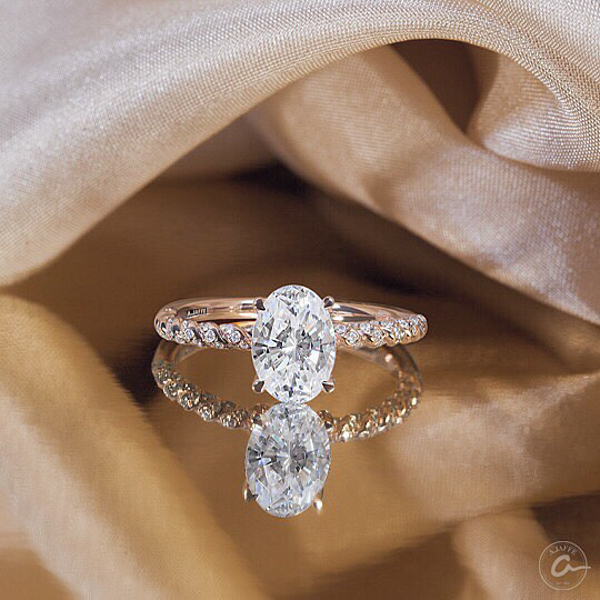 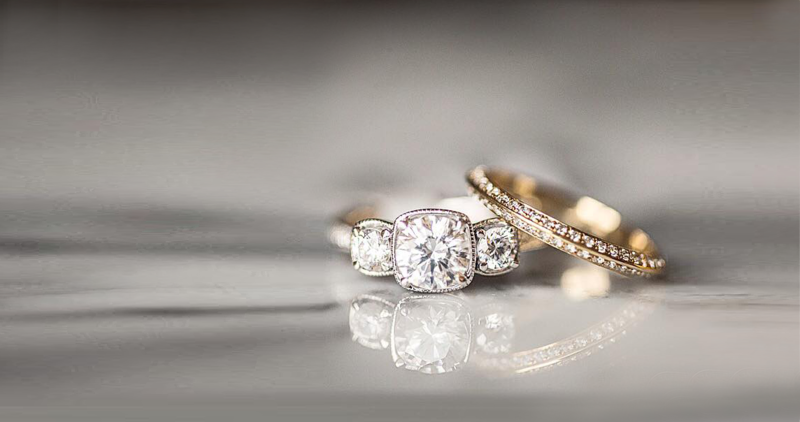 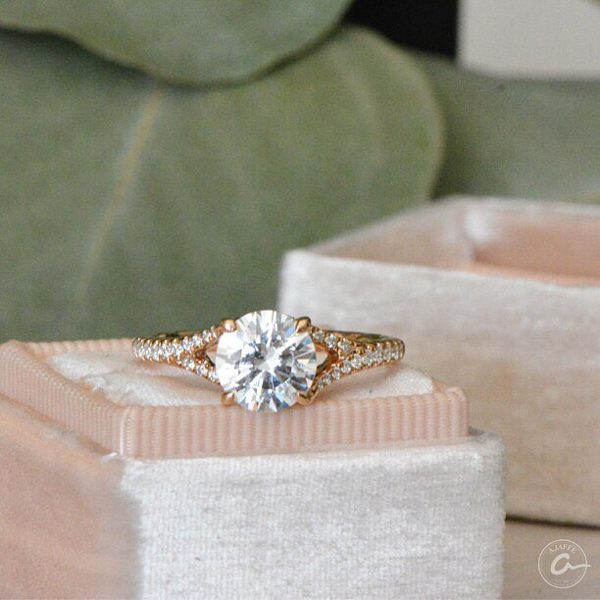 A. JAFFE Engagement Ring designs are meticulously designed and masterfully crafted, each From vintage to modern, antique to contemporary, A. JAFFE diamond engagement rings are designed to be admired from every angle. 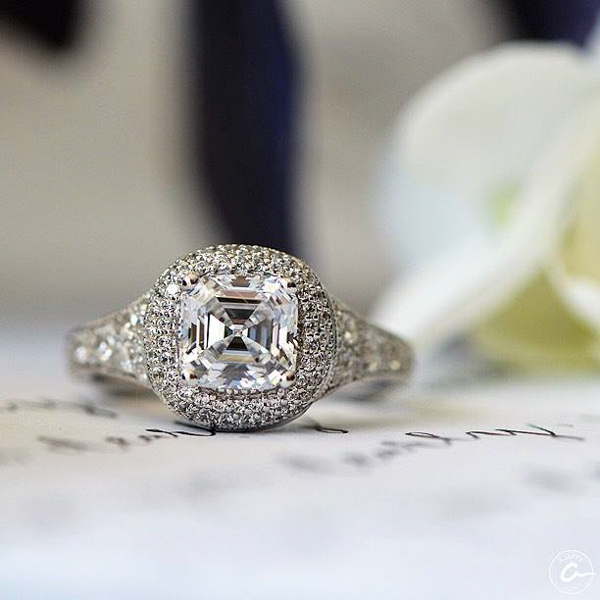 Many of engagement designs feature their signature “quilting” inside of the band. 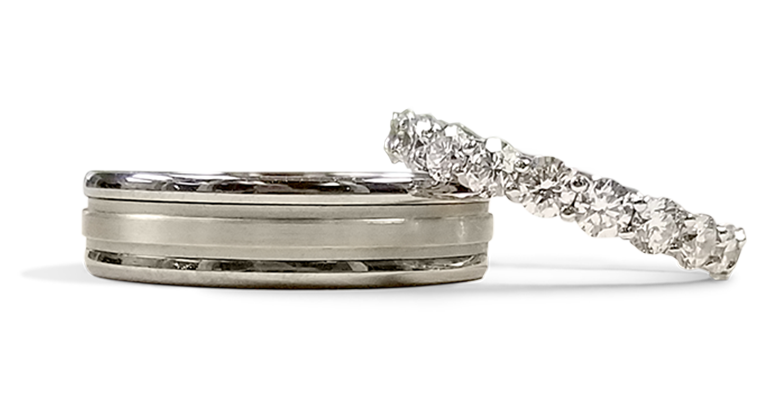 This makes for a more comfortable fit and allows air to move in and under your rings. 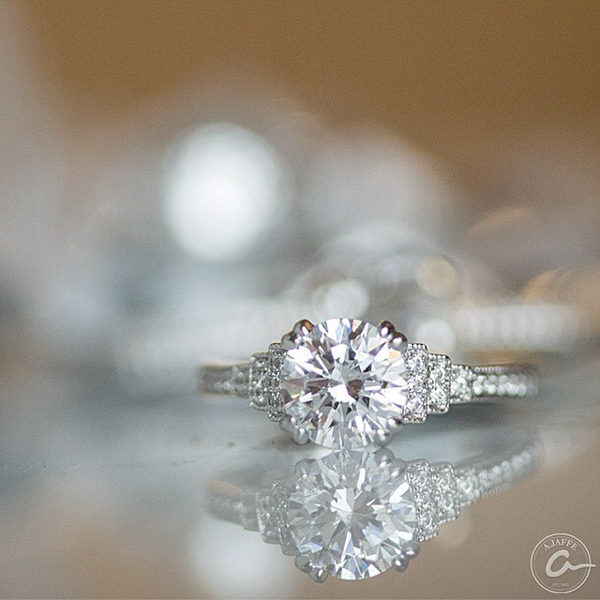 Come try them on and feel the difference it makes! Love love love this place for how much care they’ve shown us for my engagement ring and our wedding bands. 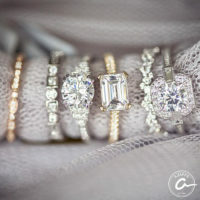 They went above and beyond to make sure we have our wedding bands on the day of our wedding. 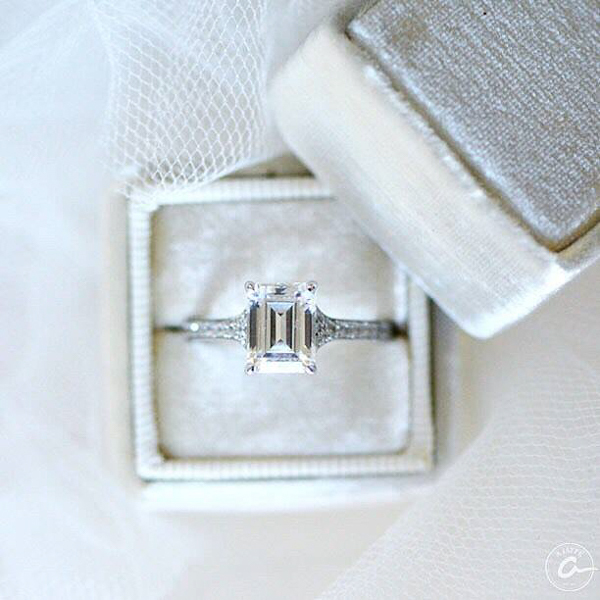 I’ll definitely go back when the occasion arrives. Very pleased with my experience buying an engagement ring. I tried a few big-name jewelry stores in San Jose but realized the best spot was in my backyard here in Morgan Hill… made the experience very stress free. 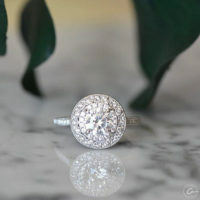 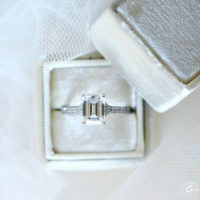 The bride to be loves the ring! 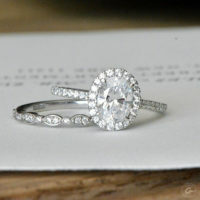 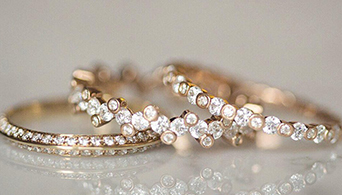 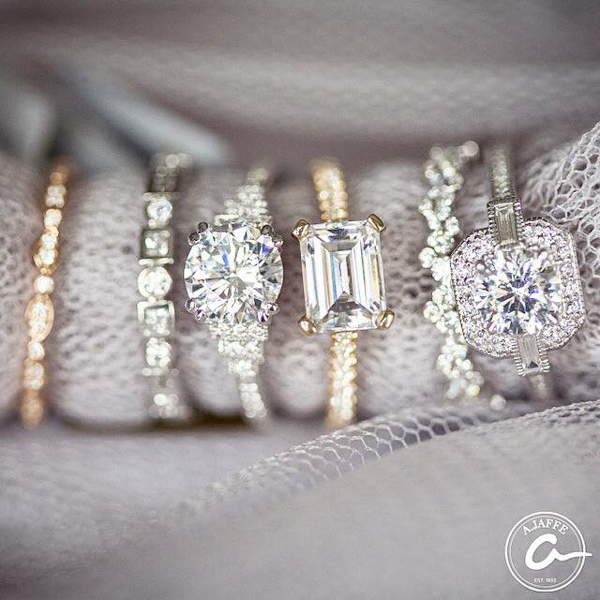 Need ideas for wedding rings?